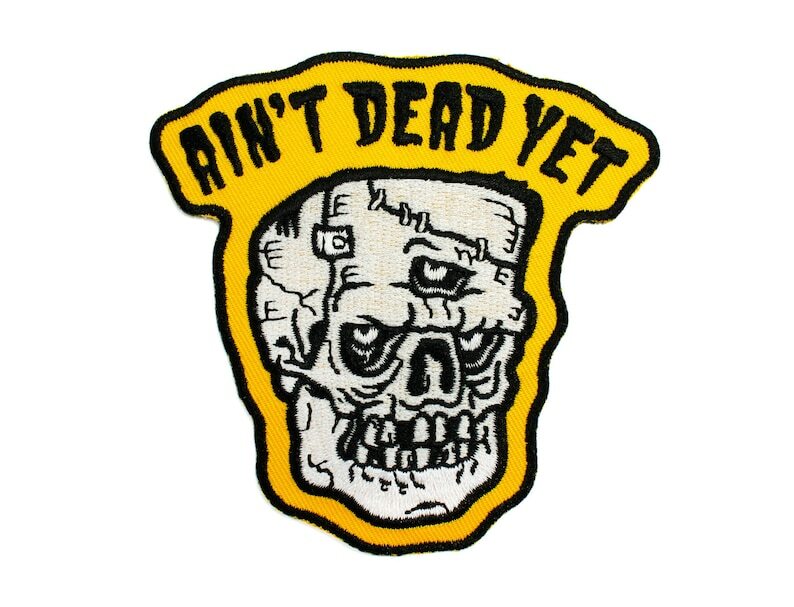 Contrary to popular belief, ya ain't dead yet! Who would have thought?! Embroidered in white, black and gold with an iron-on backing.